Having a baby is a very exciting time, and our team of midwives, obstetricians, doctors and other healthcare professionals are here to support you and your family throughout your pregnancy and birth journey. Our flexible approach to antenatal care means that you can choose the model of care that suits your individual health needs and preferences. You can choose to receive antenatal care through the Community Midwife Program or our Antenatal Clinic, which provides shared care between your General Practitioner GP and our team at Northeast Health. Your GP will provide most of the antenatal care and will send a referral including blood test results and ultrasounds to Northeast Health. Once we have received this information, we will contact you to arrange an appointment with one of our midwives. 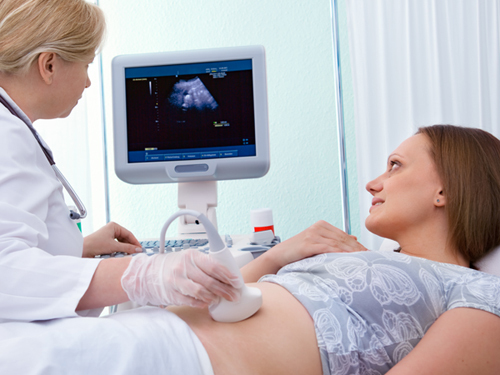 This appointment will take about an hour as we need to obtain your full medical and obstetric history so we can provide you with the best possible antenatal care. This is also a perfect opportunity for you and partner to ask any questions. For a normal pregnancy, you will visit our Antenatal Clinic four to five times which will be scheduled at around 18, 28 and 36 weeks, and also at 40 and 41 weeks if required. This is a popular program that offers individualised care provided by a team of midwives who work in partnership with you and your family to ensure that you are informed of all your choices regarding the pregnancy, birth and postnatal phase. Places are limited so you’ll need to contact the Community Midwife Program as soon as you find out that you are pregnant.